BRENTWOOD, Essex, 28 October 2018 – The Ford Fiesta has won three car of the year titles, two of them for the hot new Fiesta ST. In its end-of-year awards issue, Top Gear Magazine seized on the completeness of Ford’s £19,495 pocket rocket, produced by the same performance team as delivered Ford’s acclaimed GT supercar. The Carbuyer advice site today threw its weight of commendation behind the top-selling Fiesta, honouring both the sporty ST and the rest of the Fiesta line-up. Carbuyer editor-in-chief Steve Fowler said the Fiesta ST best hot hatch is easy to live with day-to-day, yet comes alive on the right roads, putting far more powerful alternatives in the shade. On the entire new Fiesta range – on sale last year with the ST added in early summer 2019 – Carbuyer commended its design, technology, cabin space, value for money and fun to drive. “The Ford Fiesta is the standout new car on the market today. Ford manages to cram so much into its supermini-sized package while retaining the trademark handling verve that really sets the Fiesta apart. Quite simply, we love it and it is Carbuyer’s car of the year once again,” said Steve Fowler. Ford has sold more than 2,500 new Fiesta ST models since June 2019, of 120,000 new Fiestas delivered altogether in the last 18 months. Performance Blue is the most popular Fiesta ST colour choice, accounting for more than a quarter of orders. More than 65 per cent of customers have added the optional £850 Performance Pack, which includes a Quaife limited slip differential, launch control and performance shift lights. Almost three quarters of ST orders are for the three-door bodystyle, and over half of customers have opted for the top ST-3 series. 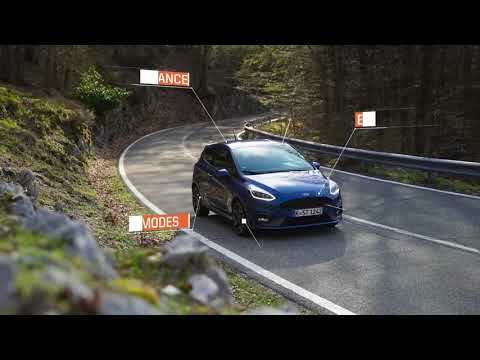 Find out more about the Fiesta ST, or take a look at our offers by clicking here.